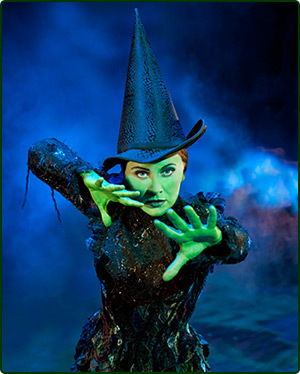 How did the Wicked Witch of The West become so wicked? In L. Frank Baum's The Wonderful Wizard of Oz, you only ever hear one side of the story: Dorothy's. In the MGM film adaptation, I always sympathised with the Wicked Witch. Dorothy killed her sister and stole her slippers, so it is not surprising she wants revenge, yet everyone is on Dorothy's side. Finally, the magical musical, Wicked is going to show life from her perspective. Glinda and Elphaba meet at Shiz University, a school for sorcerers. While Elphaba wants to remain true to herself, Glinda is only interested in popularity. Glinda's goal for power ultimately leads them down very different paths, and eventually to the roles we know them in today. The musical is being performed at Apollo Victoria with performances running Monday-Saturday. Showings are at 2.30pm and 7.30pm, wit www.wickedthemusical.co.uk/buytickets.asp costing between £15-£65.